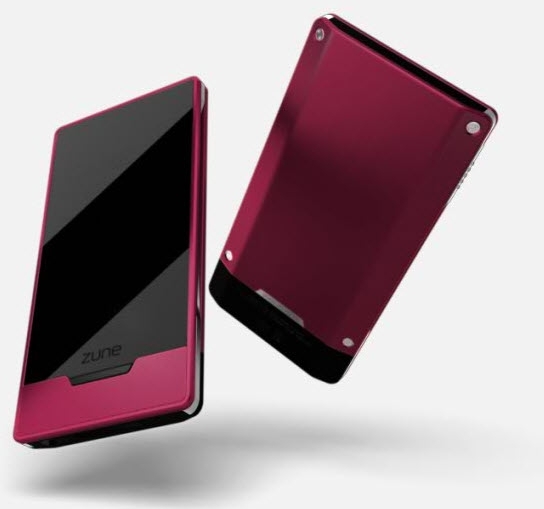 The Zune HD has launched, and with it the famed Zune Originals artist series. This time, you can order a Zune HD 16 GB player in black, or a 32 GB Zune HD in red, blue, green, or platinum and get a "tattoo" engraved on the back of the device. There are 20 artist series tattoos, several of them available previously, an Xbox (games) series, and an MLS series (remind me why this isn't international?). Overall I'm left a bit underwhelmed. The colors look frankly pretty awful, with the red a bit more magenta than I would've hoped, and unlike what I read from WinSupersite, the black is limited to the 16 GB player only. Perhaps I'm not enough of a hipster for most of the designs, but only the Jasper Goodall piece really speaks to me at all. And even while it's a pretty funny design, I can't think of engraving a Queen Bee on the back of a device I'm going to use daily. Perhaps I'm hating a bit too much but I was sort of hoping for more this time.